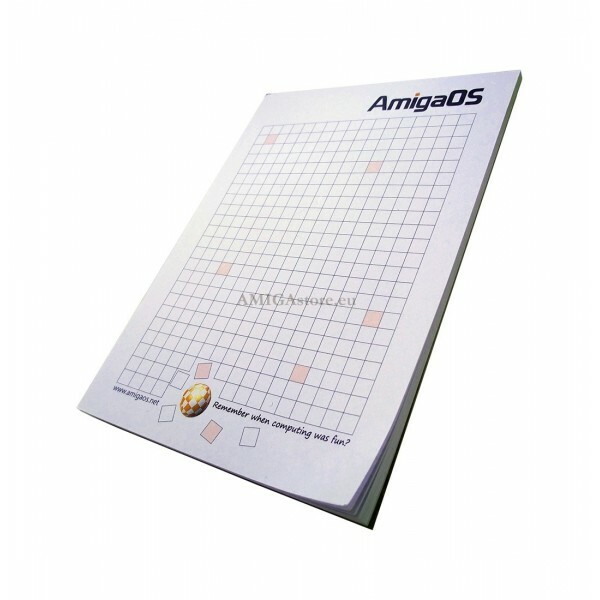 Notebook for quick notes with the classic AmigaOS Logo. AmigaOS - Remember when computing was fun? 25 sheets of paper for notes and reminders in A6 format. Ideal and very handy for your office, desk or to carry it in your bag, backpack, etc. High quality paper and white color. - 25 pages, A6, 80gr. - Rigid cardboard back cover to improve the writing of the notes.